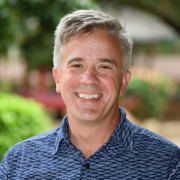 Greg was born at the Puunene Maui Hospital and grew up in Honolulu where he attended Punahou School. 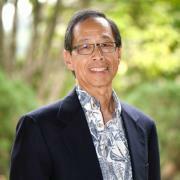 After receiving a BA in Sociology at Cornell University he returned to Honolulu and worked at Bank of Hawaii for 7 years before starting at Dean Witter in 1981. He became branch manager of the Maui Office in 1987 and stayed with the firm as it grew and eventually merged with Morgan Stanley. Greg has three grown children, Tiffany, Christian, and Parker. He served on the boards of the Maui Country Club and J. Walter Cameron Center and now commutes to Honolulu weekly to be with his 98 year old dad who still lives independently. He spends his extra time reading, exercising, attending yoga classes, and keeping track of current events and sports. Emi began her career at a Morgan Stanley predecessor firm over 20 years ago and been a part of the Chou Group since 2012. Emi is a CERTIFIED FINANCIAL PLANNER TM and enjoys working closely with clients in developing a personalized plan for their financial success. Emi grew up in Omaha, NE and has a Bachelor of Music degree in Applied Piano from Nebraska Wesleyan University. She received her CFP ® designation from the Northwestern University of Chicago. When she’s not in the office, Emi loves to travel and spend time with her husband Dean and their two wonderful daughters Riley and Mia. She serves on the Board of the Pacific Cancer Foundation, the Pu'ukukui Community Council and is a member of the Financial Planning Association. Tom was born and raised in New England. He received his BA in Economics from Colorado College and worked at an investment firm in Boston, before his college sweetheart convinced him to move back to Maui with her. Tom has been a Financial Advisor with Morgan Stanley Since 2007 and has been Branch Manager since 2010. Tom and Kristina have three children on Maui with whom they share their love of Maui. As a family, they enjoy hiking, exploring the Upcountry pastures, and Crossfit. Tom also coaches club soccer year round , and still attempts to play soccer in the adult leagues. 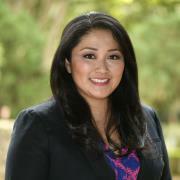 Julie is a Portfolio Associate and worked for Morgan Stanley since 2012. She has been in the financial service industry since 2004. She has her series 7, 66, and life/health insurance licenses. 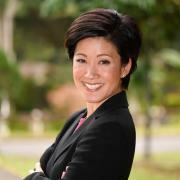 Julie graduated from the University of Hawaii at Manoa with an Executive Master of Business Administration and a Bachelor of Business Administration Degree in Finance and Management. Blessed with two children and a wonderful husband, Julie loves spending time with the family. Together they enjoy cooking, baking, and spending quality time with one another. Ready to start a conversation? Contact CGL Group today.